Many houses are full of old, outdated water pipes and for many homeowners, it might be easier and less expensive to simply repipe the entire house. A few leaks occasionally might be normal for most home owners, but if you are experiencing constant water leaks or clogs from mineral deposits, instead of having to call the plumber out constantly, it might be a better option for you to consider whole house repiping. This is often the safest way to protect your home from water damage over time if you have old and damaged pipes in your house. 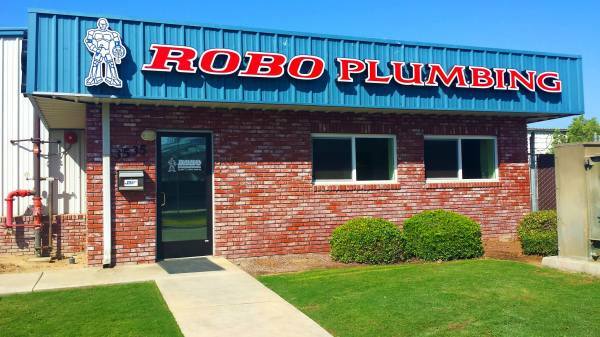 Robo Plumbing is a Bakersfield plumbing company that offers reasonable prices, professional work, and convenient scheduling for whole house repiping. For the customers convenience, our experienced Bakersfield plumbers offer copper and AquaPEX repiping. When you need the job done right, rely on Robo Plumbing. Call anytime for a free estimate from our professional plumbers! Interested in Whole House Repiping Services?